Steven Greer studied Law at the University of Oxford and Sociology at the London School of Economics, and has a PhD in Law from the Queen's University of Belfast (QUB). In addition to the University of Bristol, he has taught at QUB and the University of Sussex, held visiting appointments at the Universities of Hannover (West Germany), Wollongong (Australia), and the International Institute of Human Rights in Strasbourg (France), and delivered guest lectures and academic papers all over the world including China and the US. 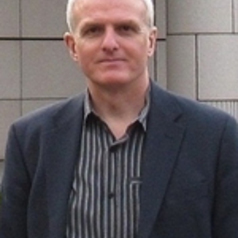 He is also Fellow of the Academy of Social Sciences and Fellow of the Royal Society of Arts, has acted as consultant/advisor to various organisations - including the Council of Europe and others in the UK, Northern Ireland, Palestine, and Nepal - and been a Nuffield Foundation Visiting Research Fellow at the Oñati International Institute for the Sociology of Law (Spain) and a British Academy Research Fellow at the University of Bristol. He has published widely, particularly in the fields of criminal justice, human rights, and law and terrorism. His book Supergrasses: A Study in Anti-Terrorist Law Enforcement in Northern Ireland (Clarendon Press, 1995) came runner-up in the Socio-Legal Studies Association/Oxford University Press Socio-Legal Book Prize in 1995, while The European Convention on Human Rights: Achievements, Problems and Prospects (Cambridge University Press, 2006) was short-listed with two other titles for the Hart Socio-Legal Book Prize 2008. His most recent book, about human rights in the Council of Europe and the European Union co-authored by Professor Janneke Gerards (Utrecht University) and Rose Slowe (Barrister and Honorary Research Fellow at the University of Bristol Law School), was published by Cambridge University Press in April 2018.